Guided gentle Walks are a long-time Thursday morning tradition. Walkers meet at the Winans Meadow Trailhead ad 4500N. Franklintown Rd. In Leakin Park , Baltimore, Maryland 21229 from 9-10 AM on good weather days. They explore the seasonal changes, encounter historic sites, bring their dog on a leash, or a kid on their back and make new friends. 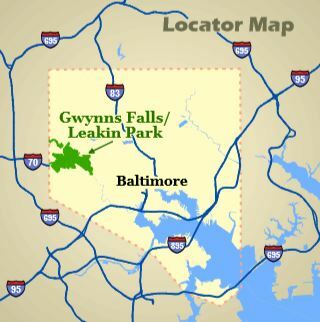 They always meet at that location, however for variety they might carpool to another gentle Gwynns Falls Trail site. Most of the walks are on the asphalted or gravel Gwynns Falls Trail, however at times they explore stretches of woodland trails on which strollers wood be difficult to handle.